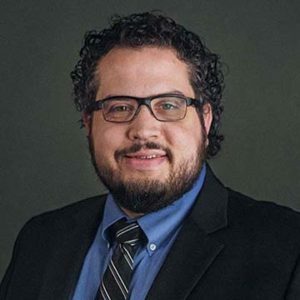 With an extensive background in marketing communications and media production, Evan has worked with companies and organizations to design and support strategies around digital marketing and brand communication. Evan has also developed and operated real-world environments for production, education, live events, and meeting spaces. Evan’s educational background encompasses both technical design and business operations, having studied Music Business at Anderson University, as well as post-graduate training and credentialing in related fields. He is passionate in his belief that everyone is given a unique set of strengths and abilities; Evan enjoys working with individuals and groups and teams around this topic. This often leads to developing a working knowledge of their strengths and how to maximize their unique skill set to achieve their personal and professional goals. His wife, Megan, and two children, Elliot and Isabella, constantly prove to be his greatest teachers of love, patience, and the idea that we are all capable of achieving that which is beyond our wildest dreams. Evan is a firm believer in the values of curiosity, diversity, and always being willing to try something new.